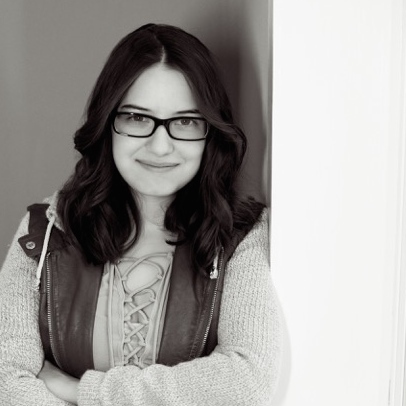 Unless you live under a rock, you've probably heard of Becky Albertalli. 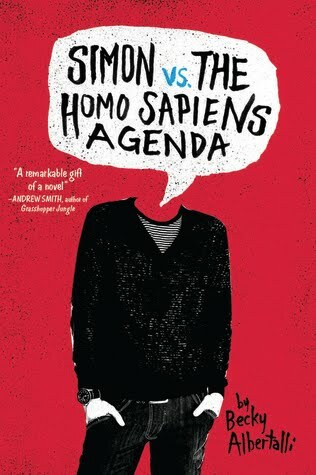 She first rose to fame with her innovative debut, Simon vs. the Homo Sapiens Agenda, and since then has gone onto become one of the foremost authors of fluffy LGBT+ YA books. 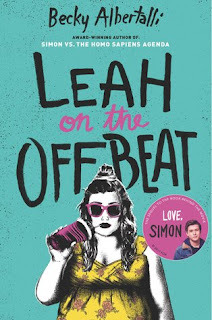 She followed Simon with The Upside of Unrequited and Leah on the Offbeat, and you may have recently heard her name because of her latest book, a collaboration with Adam Silvera called What If It's Us. As for me, I've read Simon and tried and failed to read both Leah and What If. Despite enjoying Albertalli's debut, I just haven't been able to get through any of her subsequent novels. Why's this? What changed? For me, it was the way Albertalli's style evolved. 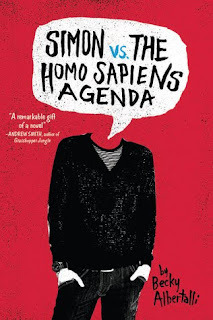 Simon was perfectly suited for a good contemporary; it felt like it was being narrated by a modern teenager (with just enough references to Harry Potter and Oreos to make me smile), but Simon's voice still had a sense of timelessness. To me, at least, that mostly disappeared by Leah and What If. It felt like every page was littered with references to teenage pop culture and slang, and they weren't done in that "ayyy, I like Harry Potter, too!" way the references in Simon were handled. They felt way more forced, like a middle-aged woman trying to pack in as much stuff "popular with the kids" as possible in order to make her characters the Most relatable. From Leah's preoccupation with the proper location to read Drarry fanfiction to Ben's passionate musings on the nuances of emojis, they took on a cringey quality lacking in Simon. I could hardly read for a minute without wincing. All that being said, I know a lot of people really relate to Albertalli's characters! Those who tend to enjoy contemporaries more than I do (and it does not take a lot to enjoy contemporaries more than I do) tend to either look past or like this aspect of her writing. And I will admit I finished Simon and did not finish either Leah or What If, so maybe I would have gotten used to this or found fewer incidents of it as the books went on. I like plenty of authors others may not enjoy (take Shakespeare), so I can only expect that others will like authors I don't. Will I ever read another Albertalli book? Maybe, but it's not likely. Her style is headed down a particular road, and it's just not one I'm interested in traveling. If she makes a hard u-turn, I might pick up another one of her novels, but I don't think it likely at the moment. Welp, apparently I live under a rock lmao. Hadn't heard of Albertalli or her books (although, Simon's title does sound slightly familiar, so maybe I did in passing). I totally get that change in style, though -- and the cringey overuse of pop culture refs. I've been guilty of that before, it's tempting to do, but it's just one of those things that need to be handled with care... lol. Kill that academic decathlon, Eleanor! Best of luck. Stock up on that caffeine. I agree! Ahhh, thanks. Hydrate or dydrate, as they say. honestly her books aren't that good? i mean i love how there were lgbtq+ characters in all of her books (bc we all know im freakin queer af) and the pop culture refs were cool too, but there were just too many pop culture refs for me and the books didn't exactly "click" with me if that makes any sense. also good luck with academic decathlon season my dude!! it's currently theatre season for me (pretending to stab my ex with a trident?? sign me up) so i get being busy and all.